3) How much European Oak Oak Decking do you need? All of our products are cut to order, not kept in stock. 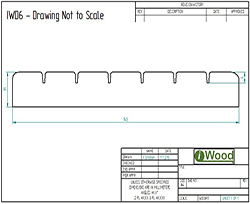 Because of machining setup costs, we have a minimum decking amount of linear metres. Please add another metres ( m2) to proceed. Why are the 'per m2' and 'per m' prices approximate? Your total price is accurately calculated from a cubic metre rate based on the actual total volume of timber in your decking, rather than from a stored square metre or running metre rate. In order to show the price per square metre and the price per metre, we divide the total cost by the number of square metres and linear metres respectively. Due to rounding, this may mean that the square metre or linear metre price may be out by a few pence if you manually multiply it be the number of square or linear metres. 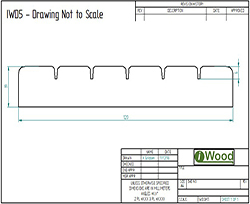 The total price shown is accurate and we show the square metre and linear metre prices for comparison. As well as creating an outdoor space to relax in, decking not only updates the look of a property but can also increase its market value. Decked areas provide usable, solid outdoor space. iWood’s Prime and Light Character grades of Oak decking are dried to drive out moisture. This greatly decreases movement, warping and swelling once the boards are installed. Our Fresh Sawn grade has a higher moisture content which will generally decrease over time before settling. It’s important with Fresh Sawn boards that you plan for some shrinkage of the boards as the timber dries, making the gap between your decking boards marginally larger. This decking is provided in random lengths between 2 and 4 metres. 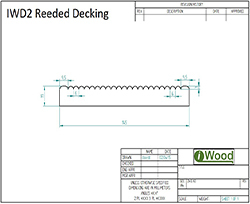 In line with iWood’s environmental policy, iWood’s oak decking is sourced from responsibly managed forests. 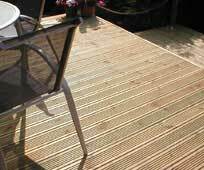 These decking boards are provided untreated. While Oak is a durable timber, decking should always be sealed with an off-the-shelf treatment to prevent moisture entering and swelling the boards. You may also consider a treatment with an anti-fungal component to help stop the growth of moulds which could potentially become slippery as well as damage the timber. Have a look at our finishes page for who to contact for more information on treatments. When wet, wooden surfaces can be slippery, which is why iWood provides its decking in ‘Reeded’ and ‘Anti-slip’ profiles that are designed to give extra grip underfoot. As mentioned above, applying an anti-fungal treatment can help prevent slippery moulds. Will one location afford better protection from weather than another? Will one location provide more privacy than another? If you plan on hosting parties how far from the kitchen will your deck be? Will you need planning permission? If you’re installing to a listed building, have a 20m or closer line of sight to a highway or intend your decking to be 0.3m or above ground level you may need planning permission. You can easily check with your local planning authority (www.planningportal.gov.uk). Do you have a suitable foundation to install your decking onto? Consider how much of a gap to leave between your boards. You don’t want to be lifting decking boards to retrieve your car keys! For in depth information about planning and installing decking, TRADA has a book available for purchase for £30, "Timber Decking: The Professionals' Manual 2nd edition". 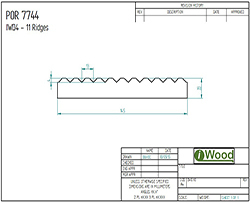 iWood’s product code for Prime Quality Oak Decking is IW-7-32-1. 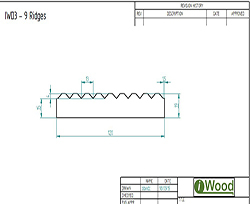 Available from: iWood Timber Condition: New, supplied to your requirements. Availability: Available for order. Clarity of website and up front pricing. Good phone support and quick delivery of samples. Thanks. Your website, ordering and delivery is the best I've ever seen. We deal with alot of timber companies and I wish everyone was as easy as you! Very well designed web site - simple to use but actually containing a large amount of complex information .. good pricing too. Helpful telephone assistance. Great website and ordering process. Well presented and competitive pricing. We calculate our delivery costs based on how far away you are from us, to get more information on this please check out our shipping costs page HERE. 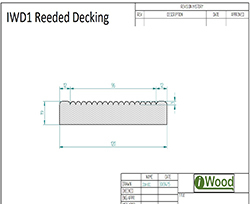 How do I place an order for decking? You can place your order online by working out your price above and adding your items to your shopping basket. You can then check out and your order will be processed securely and a confirmation email sent. Once your order arrives in our depot, we'll give you a call to arrange delivery.